The word “chocolate” is embossed by hand into the porcelain body of these cool mugs. Perfect for hot chocolate, but just as good as a tea or coffee mug. Designed by Keith Brymer Jones and made from super white procelain. A hard wearing white cermic mug that’s dishwasher & microwave safe. The word “chocolate” is embossed by hand into the porcelain body of these cool mugs. We’ll let you into a secret, the chocolate mug by designer Keith Brymer Jones can be used as a coffee mug or tea cup too. This is because the master ceramicist’s unique Bucket Mug design has been thoughtfully crafted from fine porcelain to work as both a stylish coffee mug & the perfect “sit & sip” tea cup. Your choice of tea cups or coffee mugs has an affect on the taste. Tea from a porcelain cup is often recognised as having a longer aftertaste and a lighter body. A porcelain cup has been the preference for drinking tea since around 1300 in China, and from the 1800s in Europe. If you’ve ever drunk wine or beer from a ceramic mug you’ll appreciate how it felt & tasted different from drinking from a glass. This is partly because the materials used and shape can create a subtle subtle but significant impact on flavour. This is one reason the designer chose porcelain for his Bucket Mugs. Porcelain has a natural translucent quality. The traditional design and manufacturing process of porcelain cups made them thin and fairly fragile, so Keith found a way to make them much more hard-wearing while retaining the aesthetic qualities of the material. Part of his unique technical process includes firing the porcelain mugs at a higher temperature to create a sturdy but lightweight ceramic mug that is tough enough to go through the dishwasher or microwave in everyday use. The unusual shape of the Bucket Mug is one of its most recognisable features and was inspired by an old bucket in Keith’s Whitstable pottery studio. The elegant taper is pleasing to the eye but a closer look reveals that it finishes with an unusually thin lip for a mug. Most ceramic mugs have a fat lip suited to pouring great gulps of tea or coffee into your mouth. The thin lip of the Bucket Mug is a reference to the fine porcelain cups of ancient China, as it allows the tea or coffee to gently glide more naturally onto your tongue. Keith’s attention to detail in the design of the Bucket Mug allows for a more relaxed, sit and sip style of tea or coffee drinking. The technical achievement creates a fine porcelain mug that sits comfortably in the hand and is a pleasure to drink from, but what makes these designer mugs so unique are the words that are gently hand-pressed into the wet porcelain. Keith Brymer Jones calls this retro style his Word Range. 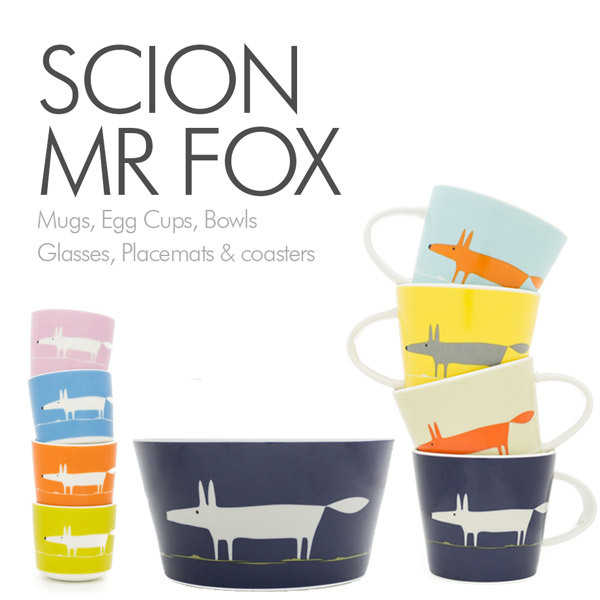 The Word Range of designer tableware was inspired his own dyslexia, which causes him to “see words as shapes”. His love of vintage style inspired his choice of the quirky retro typewriter font and his cheeky humour has led to a range of the cheekiest, rudest and funniest designer mugs we’ve ever seen. Full of technical skill, practicality and personality, the Keith Brymer Jones Bucket Mugs are deeply satisfying to own and make a wonderful, truly unusual gift. Keith Brymer Jones Standard Bucket Mug 350ml – cheers!